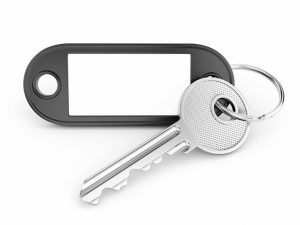 Keeping a spare key handy is a great idea, especially if you’re prone to losing yours, or you simply want to know there is another one nearby you can get to safely. But we don’t all have neighbours nearby we can trust with a key, or relatives who are within easy reach. That’s why secure key boxes are so practical. The box can be attached to any wall or door, and a combination can be programmed in to allow access to the key within by anyone who knows the code. They are also designed to be weather-proof, enabling you to install a secure key box in any required location. The compact nature of a key box also means it can be securely installed in a location where it is not easy to spot. That means your spare key will always be easily accessed – but only by someone who knows it is there and knows the code. Pixlocks can provide in-depth advice on which key box would suit your needs. Additionally, we can supply your chosen key box and install it in your preferred location. If you haven’t had a spare key up until now, this is the ideal way to make sure you have one if you ever need it. Secure key boxes are also ideal for other situations, such as holiday properties, where you would like the key to be available for incoming holidaymakers. This means there is no need for you to be physically present for the key handover. And since the combination can easily be changed whenever needed, you can change it weekly after each holidaymaker leaves, if you wish. Call now to find out how easy it is to purchase and install secure key boxes in Hull and East Yorkshire, with the help of the Pixlocks Locksmiths team.